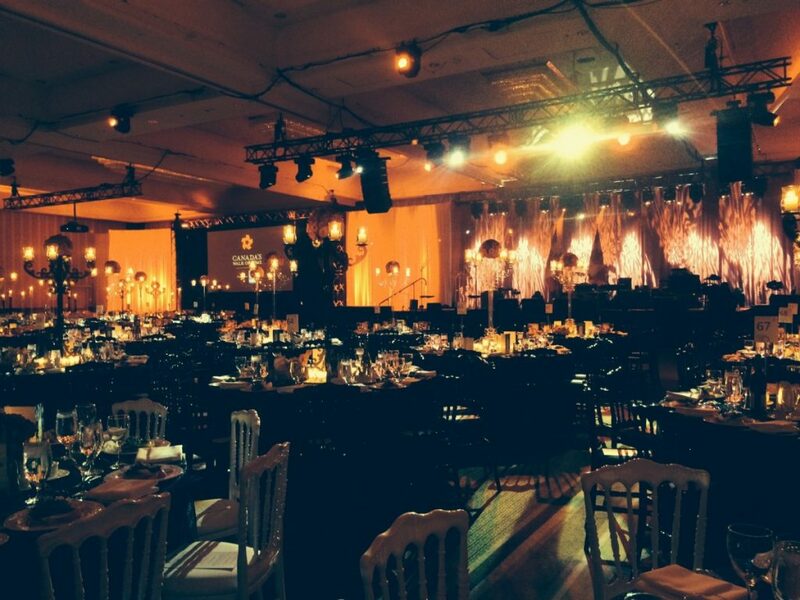 Recently, we supplied production for the Canada’s Walk of Fame Inductee Gala Dinner. This event played host to over 900 guests including inductees, an array of Canadian entertainers, musicians and industry professionals. We are proud to have supplied production including but not limited to, staging, truss design, moving lights and line array. Along with the Gala Dinner, we supplied production for this year’s YELLOW Carpet outside of the Sony Centre. Watch The Canada’s Walk of Fame Show on Friday, December 19th at 8pm on Global – look for our road cases on the Yellow Carpet!